Justin von der Fehr’s capsule accessories collection is set to land exclusively at Paul Smith, London. Playing with the Paul Smith aesthetic, von der Fehr's pieces are for the modern man with a contemporary yet timeless style with a touch of the whimsical. Attentively handcrafted, von der Fehr's pieces are made using only the finest skins and vintage silks. 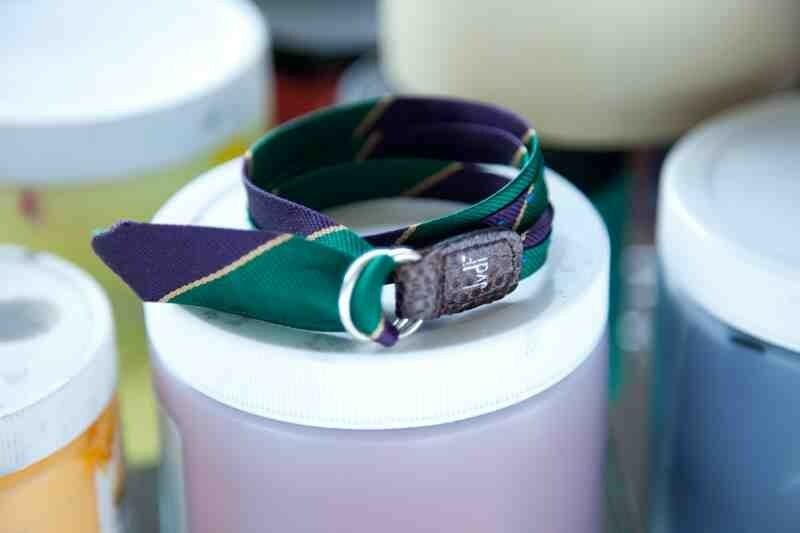 The ‘Tie’ Wrap Bracelet is bias cut, silk stitched by hand, with the same labour-intensive technique applied in creating traditional neckties. Each wrap is finished with sterling silver rings and a lizard skin tab, all by a skilled artisan. Due to the limited quantity, only 100 of each vintage silk color way will be made in the Tie Wrap Bracelet, making each a true collector’s item.